These are “go to” verses in the Bible that a LOT of people know. There are pillows embroidered with these verses, there are signs for your home…either of these verses show up in a lot of places and in a lot of sermons. But, what does it look like in real life? My girls had just turned 7 when their father told me he didn’t want to be married. Stunned, my concern went directly to my children. How can this happen to them when my promise to take care of them was challenged? We had settled into the routine he wanted, (like a roommate agreement) and thought this was just the way it was going to be. I would’ve stayed in that arrangement as it was because my plan was to fulfill my commitment to God, to my husband, and to my children. 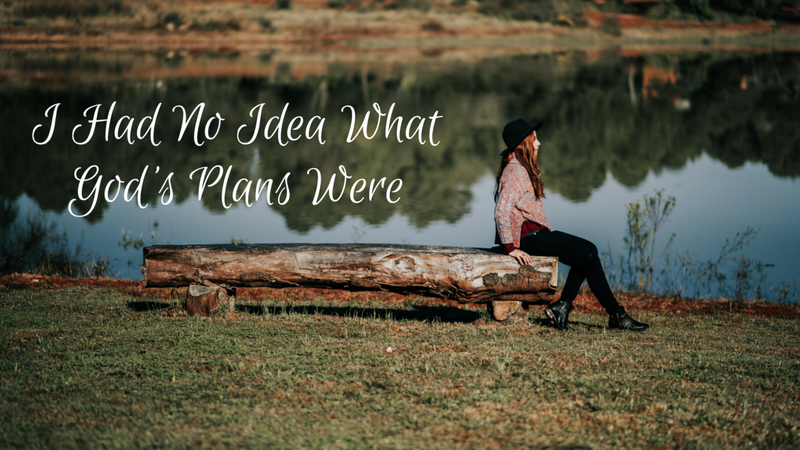 I had no idea what the plans were that God had for us, but I knew that my plan failed and I could only trust Him to take care of us. A sweet neighbor found out what happened and jumped in as we lived miles away from our family. This precious couple adopted us as we navigated the waters of separation…because their daughter in another town was suffering the same. Since they couldn’t love her through her turmoil, they loved me through mine. One evening, watching the girls playing in their pool, Ray, in his fatherly way, said “One day my dear, a man will enter your life who is worthy of you and will appreciate all that you have to give.” I laughed and said “From your lips to God’s ears!” and thought no more of it. I did not want to marry again. My goal was be the best mommy I could be and keep them from being hurt by the divorce as much as possible. When Stan came into my life, I was in so much pain and anger I didn’t see him as a potential mate because I didn’t want a mate. But God set everything in motion…He used my mom’s poor health to move me from Tucson to Columbus. Arranged for a house, a car, and He even picked out the church I would attend (because my mom said so). It was because He placed me in this town at this church at this time that He introduced me to a recovery program called DivorceCare. He even arranged for me to want to go through a second cycle of it so I would meet Stan THERE! Two years later, I was blessed to introduce my new husband, Stan, to the sweet neighbors in Tucson. Ray loved Stan and they talked for hours as we visited from Ohio in their Tucson home. He was so proud of himself for knowing that God intended to bring this man into my life, whom he said was worthy of me, and appreciated all that I had to offer. God wanted me with Stan all along, but He allowed me to make the choices I made. He was preparing my heart to be in just the right condition to accept His love and gift of this precious man. He used each experience to show me how hard life can be, how ugly it can be, so that when I saw the beauty of what a man and woman were supposed to be as husband and wife, I would appreciate it like never before. He equipped us to use our experiences to mentor couples and has used us to restore marriages into the image God intended them to be. To Him be the glory. It’s hard to know what God’s will is, whether the choices made are within His will. It’s hard to trust that He’s got you when your world is falling apart around you. But, seeing your life as being more important to HIM than to you, you realize all you can do is trust Him for His plans are good. His understanding is above and beyond yours, so you cannot lean on your own thoughts and desires for your heart will fail you. His won’t. Honor Him and He will honor you. Choose today to trust Him. I pray you can look at my life and all that we’ve experienced to see what these verses look like lived out.